If you want to run Facebook in the Jio Phone, then first you have to click on 'Jio Store' from the options given in the menu bar. As you go to the Jio Store, you will see many applications, including Facebook. Click on Facebook to download it. If you are in a better connectivity place then it will be download within a few seconds. Open Facebook You will miss Facebook's mobile browser interface at first glance at the login page. 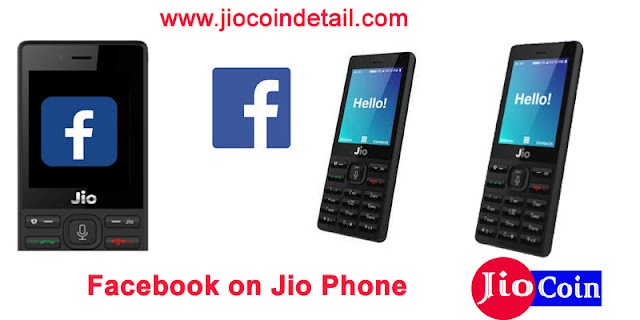 In this way, you can run Facebook in the Jio Phone. There is nothing new in the feature and user interface. The Facebook feature given in Jio Phone is better for its price. It takes a few seconds to download Facebook, which is good for the experience. After this there was no problem in checking from Facebook log-in to notification, message checking, scroll up-down. In the case of user interfaces, Jio Phone's Facebook reminds you of the earliest phone calls, where the pointer/trackball was use to use Facebook. We used the phone's search bar. We searched Facebook Friends from the account. Friends profile seen. Go to the group and perform many activities. Features such as Like, Comment and Share are also working smoothly. You know how many notifications come in. You can easily add, share, and share your own close friend's post by taking a pointer on these. If you are use to running Facebook on Android Smartphones or iOS, then using FB here can make you shaky. But, in this budget segment, the hardly better Facebook user experience is possible with Jio Feature Phone. The pointer is smooth, as well as for example if you are moving from the notification to the message, then you do not have to move the pointer in the empty space. While switching in one direction the pointer automatically stops on the next feature. In this way, while driving FB with Jio Phone, you do not at all think that if the other was a phone then you would also use similar features. 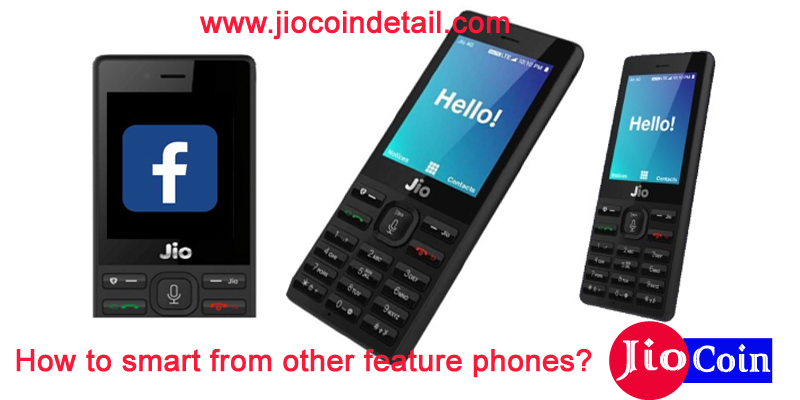 How to smart from other feature phones? Here you can update the status Can send messages to anyone. Someone can easily see the sent message. By clicking on the notification, the likes, shares, and comments can also be done without any difficulty. In addition to going to the settings menu, you will be able to set the password and other settings according to your usual phone. That is, the more activities you can do on Facebook than any other phone, they are also possible with the help of this live feature phone. Now the point is flaws One of the main problems face by using Facebook in the Jio phone, one of them is the font/picture size. While you scroll up and scroll down, text and pictures appear to be extremely small, which can shock the user. When you come out of the experience with a big screen and Android experience, when you run FB in it, it seems that you are trapp in a small box where activities like Like, comment and share do not give any particular interest. If the user had been remove from the mobile browser and given the interface, then the hidden loopholes could hide much. While using the Facebook feature, you may find it a little 'outdated', but giving a smoother experience to a feature phone, Reliance Jio is a big achievement. 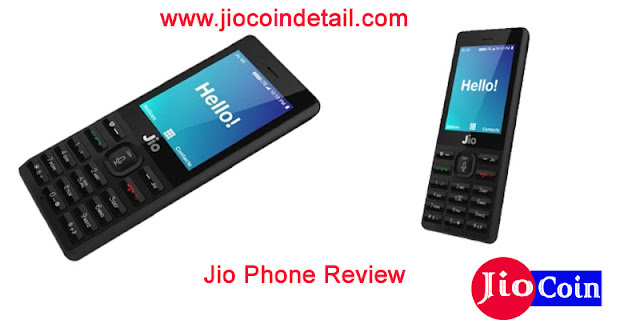 Be aware, Jio Phone has been made available for sale on e-commerce website Amazon India since last month. Earlier, the phone was available for sale only on the Reliance Store, Jio website, MyJio app and Reliance Jio's partner store. The phone costs Rs 1,500. If the user returns the phone after 3 years, then they will get Rs 1,500. 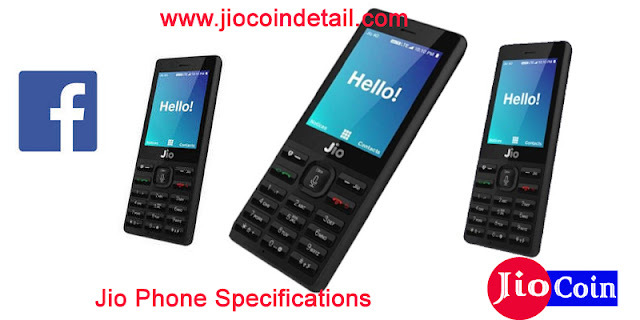 A sim Jio phone has a 2.4-inch QWVGA (240x320 pixels) display. It has 1.2 GHz Spreadtraum SPRD 9820A / QC8905 dual-core processor. The Mali-400 GPU is integrate. Along with 512 MB of RAM. Inbuilt storage is 4 GB and you will be able to use up to 128 GB MicroSD card. There is a 2-megapixel camera on the back of the phone. And there is a VGA camera on the front panel. Jio Phone's battery is 2000 mAh. It has been talk time of up to 12 hours and standby time of up to 15 days has been claim. The connectivity features include 4G VoLTE, Bluetooth V 4.1, Wi-Fi, NFC, FM radio, GPS and USB 2.0 support.